- to set a timer on the second time scale! - to use just my own musics for a timer! - to listen the sound of timer only from earphone! - to set the time with a numeric keypad! - to set the timer on the time of end! - to use more than one timer at the same time! - to use a timer only with vibration, without sounds! 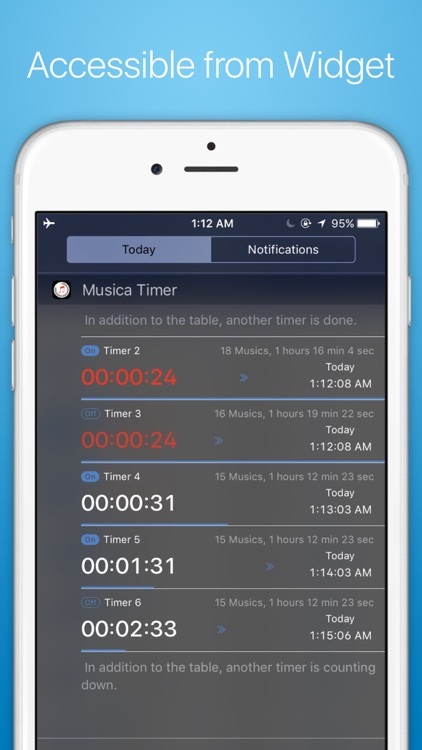 “Musica Timer” will answer such a request. 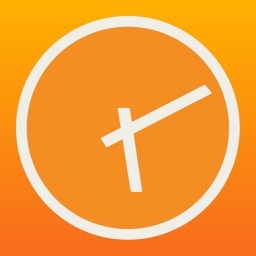 If you have been dissatisfied with the default timer App, please try this App! - You can set a timer at either term or time of end on the second time scale. 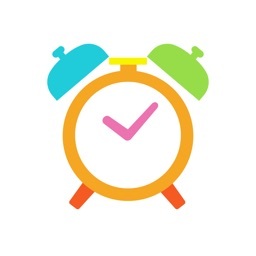 - You can use as a off-timer (sleep timer). 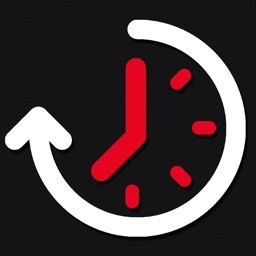 - This App shows both of time of start and estimated time of end during a timer running. - You can set more than one timer, and run more than one timer at the same time (You cannot add more than three timers without Add-on). - You can set a time with a numeric keypad. 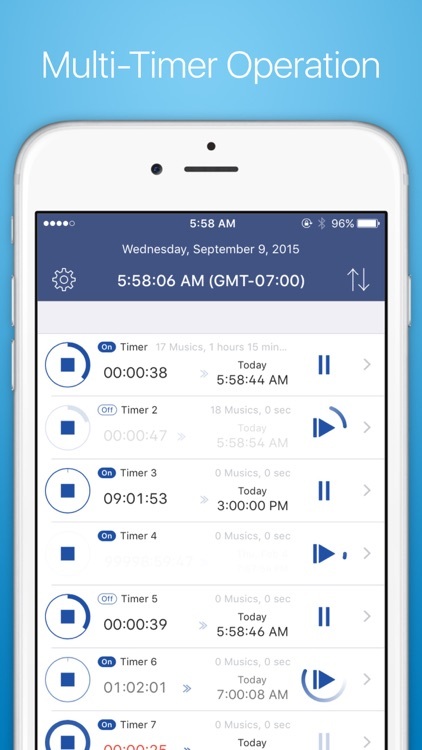 - You can use your own musics for a timer (therefore, this App has no sound contents). 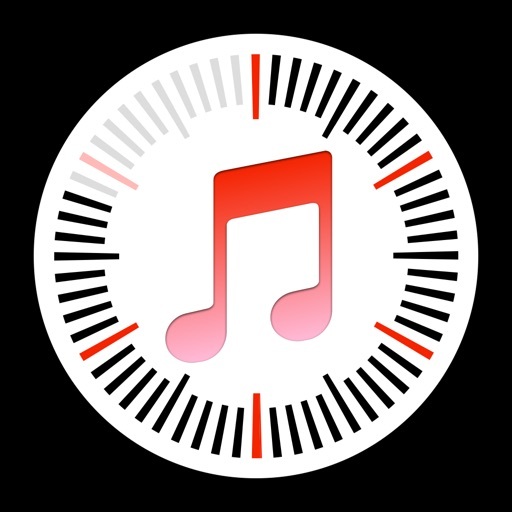 - You can make a music list as you like, and set a playing mode on a timer to repeat and shuffle. 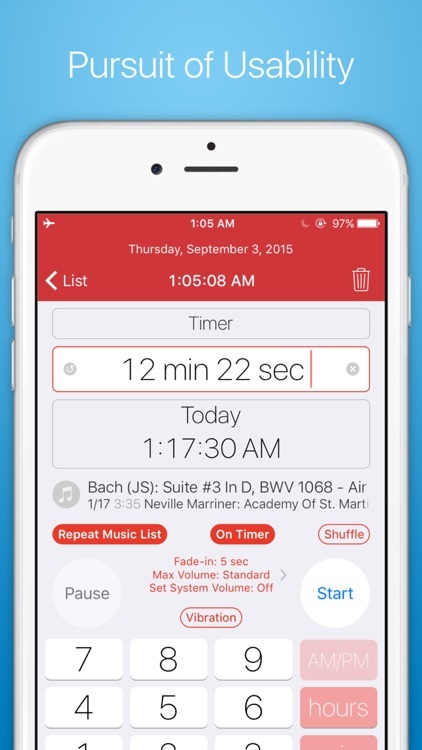 - You can also make no musics list on a timer, which output no sounds. - You can set a vibration on a timer regardless of the setting of sounds (iPad has no vibration feature). 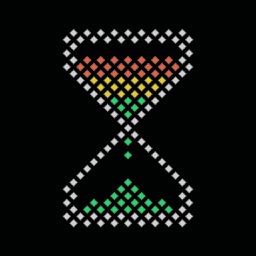 - You can set max 60 seconds fade-in for playing musics on a on-timer. On a off-timer, you can set fade-out to the end of timer as you like. - You can set max sound volume for each of timer. - The App can show also Greenwich Time. - You can select theme color among 7 colors (add-on is required). 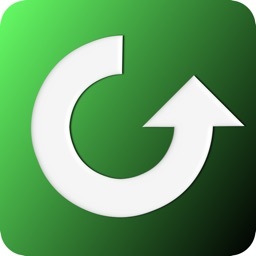 - You can access this App from “Today” widget. - You can organize this App with URL scheme (jp.37.MusicaTimer://) in other Apps such as lunchers. Audio output mode of this App is almost same as default Music App, as mentioned below. - Output volume is always depend on the volume setting of the device. If the App outputs no sounds, please check to see if the volume setting of device is “Mute”. - Even if the App runs at background, the App outputs sounds. - When the App is terminated completely, the App stops the sounds. - Even if the device is at the silent mode, the App outputs sounds. - When you use an earphone, the App outputs sounds only from earphone. - When you plug an earphone, the App changes the audio output to the earphone from the speaker, but the sounds is continued. - When you unplug the earphone, the App stops the sounds. - This App has no sound contents, please prepare by yourself. 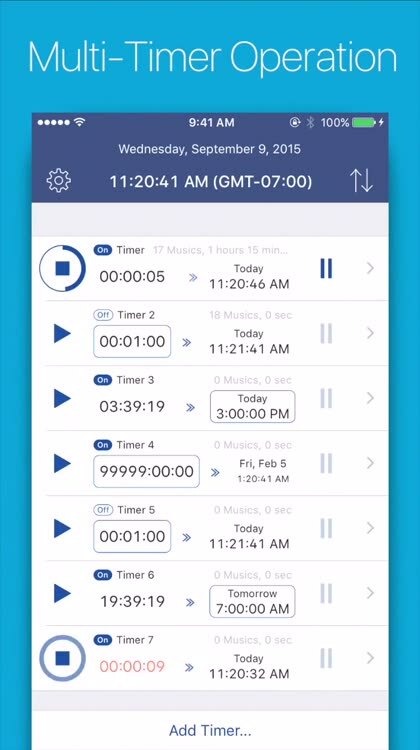 - This App can work at the background, but when you terminate this App completely, no sound comes out at the end of each timer except for text notification. 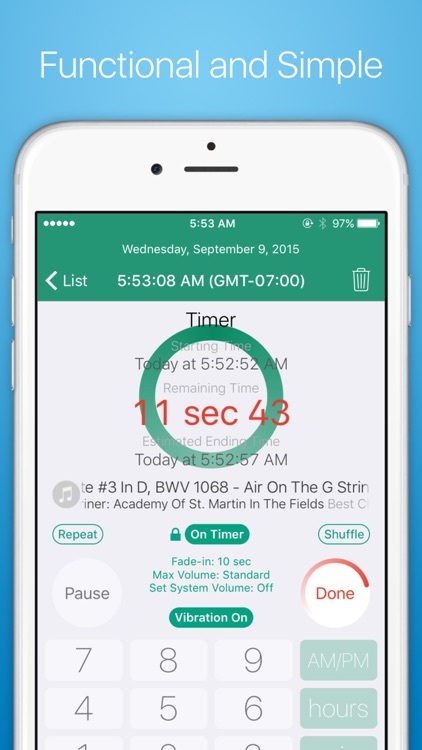 - Sound output of this App is interrupted and terminated by the sounds of the other Apps and the telephone bell (the timers do not stop). - Sound outputs of the other Apps, such as default Music App, are interrupted by sounds of this App. 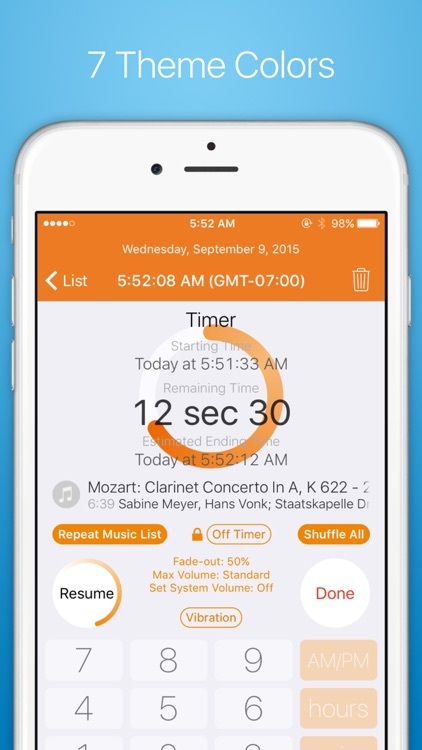 On the other hand, the sounds of the telephone and the default Alarm App are not interrupted by this App. - Please check carefully End User License Agreement (EULA) before using the App. - Additionally, you may not use this App unless you agree to terms included below. - You agree to assume full and sole responsibility for any use of this App. - We are not responsible for any damages or injury, including but not limited to special or consequential damages, that result from your use of (or inability to use) this App, including any damages or injury caused by any failure of performance, error, omission, interruption, defect, delay in operation, computer virus, or other computer malfunction.